New Strategy! Microsoft Office 2019 will only work on Windows 10 | Brainguru Technologies Pvt Ltd.
Office 2019 (arriving in the second half of 2018) will include the usual Word, Excel, PowerPoint, and Outlook client apps, alongside server versions of Exchange, SharePoint, and Skype for Business. 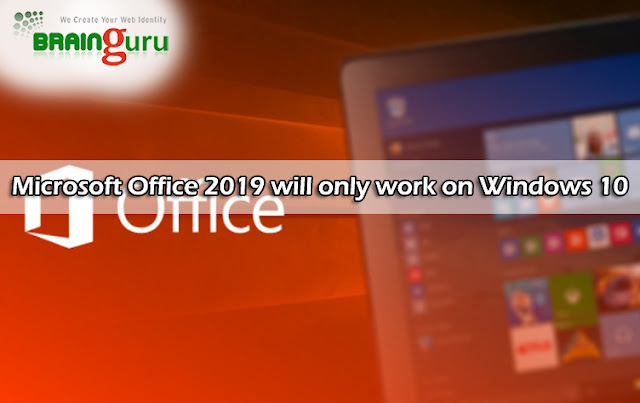 Microsoft is planning to release preview copies of Office 2019 in the middle of 2018, and the software is primarily designed for organizations that aren’t using the cloud Office 365 versions. Microsoft is also extending its Windows 10 support for enterprise and education customers running certain versions of the operating system. Windows 10 version 1511, 1607, 1703, and 1709 will all be supported for another six months to help enterprise and education users move to the latest supported versions of Windows 10.